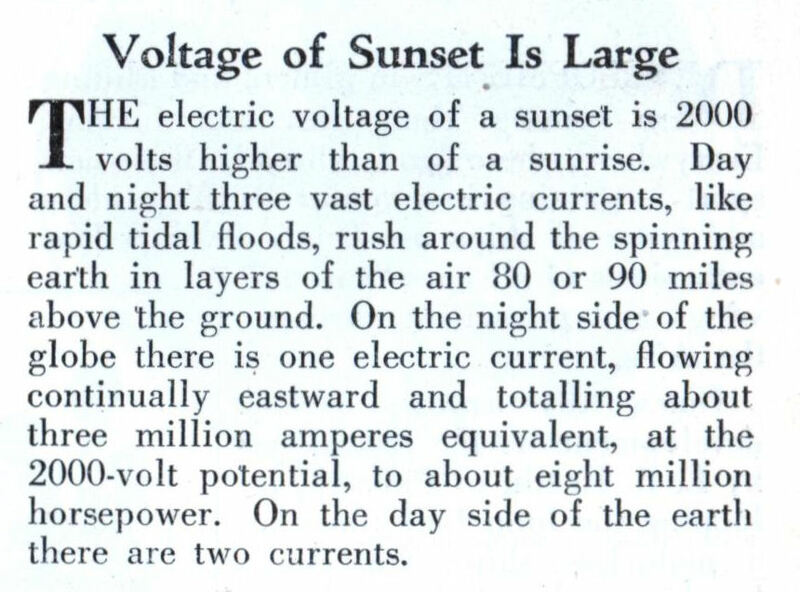 THE electric voltage of a sunset is 2000 volts higher than of a sunrise. Day and night three vast electric currents, like rapid tidal floods, rush around the spinning earth in layers of the air 80 or 90 miles above the ground. 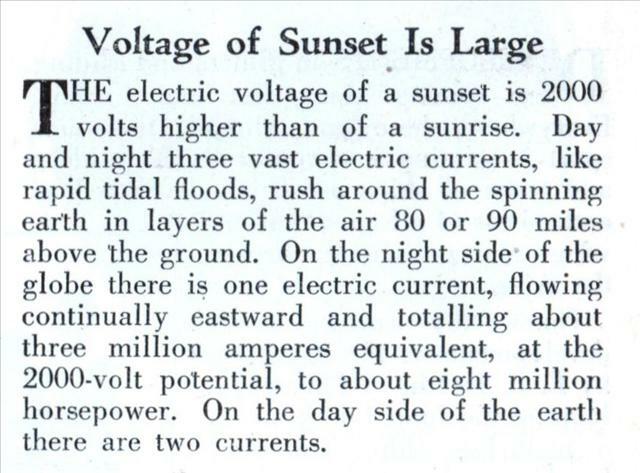 On the night side of the globe there is one electric current, flowing continually eastward and totalling about three million amperes equivalent, at the 2000-volt potential, to about eight million horsepower. On the day side of the earth there are two currents. A current can exist in a loop if it’s induced by a changing magnetic field running through the loop. Then it just runs in a circle, without needing a source and a drain. This could apply to the ionosphere, using the Earth’s magnetic field. However, “voltage” doesn’t really apply in circumstances like that. I don’t think the author understood the concept of electricity. Keep in mind that those articles usually weren’t, even for their time, scientific articles. 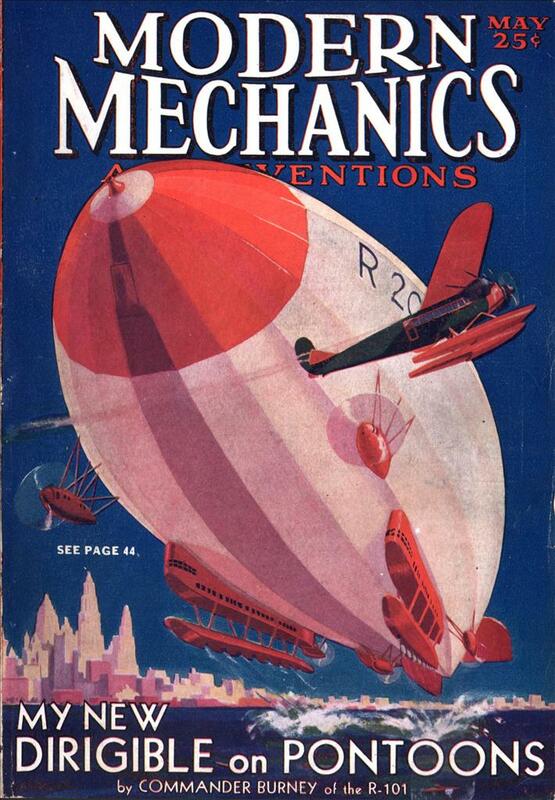 It’s kinda like reading “Technology Review” today.